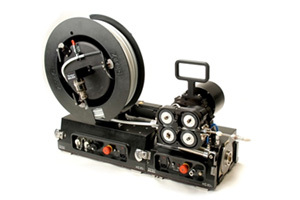 The MIZ-80iD is an all-in-one integrated eddy current instrument, probe pusher, and control system that has transformed the way eddy current data is obtained. This break-through in technology allows for highly efficient and cost effective inspections of your steam generator and condenser tubing in nuclear and conventional power plants. All-in-one eddy current instrument, probe pusher, and controller reduce system setup from hours to minutes. Supports all common steam generator inspection techniques. Integral probe interface module (PIM) eliminates the need for probe adapters. Integral eddy current instrument improves data quality by the elimination of the probe extensions and slip-rings. MIZ-iD Intelligent Device technology provides automatic probe configuration validation with MIZ-iD equipped probes.